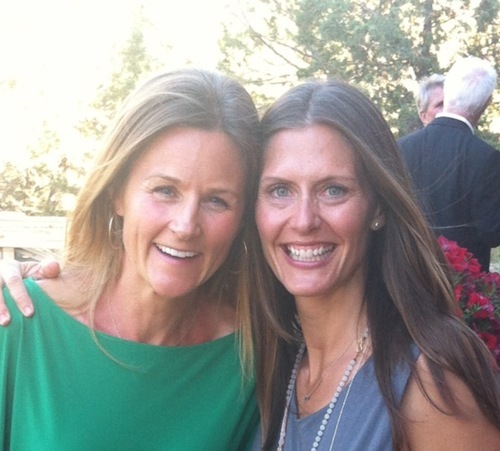 Meet the Muses : Kristin Tone + Cynthia LaRoche ~ mindfulness teachers, yogis, friends, spiritual book junkies. Cynthia: I met Kristin Tone when I moved to Bend, OR and a friend took me to Groove Yoga where she taught. Prior to taking Kristin’s class I had predominantly male yoga instructors. I had been asking for a female influence. On the mat that first meeting I knew I had found it. Cynthia: A shared experience for the gift of yoga in our lives. The great fortune to be able to share what we have learned. 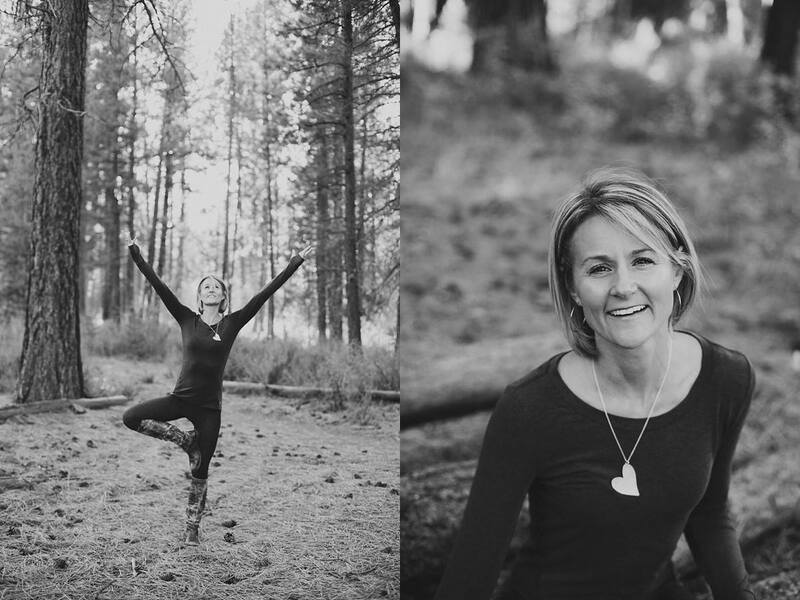 Kristin: A passion for yoga, through which we hope to facilitate deeper self-knowledge and acceptance, healing and an opening into the mystery of being alive. Cynthia: When and where are you most inspired? Kristin: I now know inspiration as a quality of connection. When someone has completely aligned themselves in full surrender and concentration to the “power no one can name” (Many call this God or Spirit or Higher Self, Tao. My son calls it the Force. He’s a Star Wars fan.) inspiration flows fully and freely. Art, poetry, writing, pretty much anything that comes from this place inspires me. A person who arrives to teach or share with no other agenda than to connect with this. Truth. I am deeply inspired by people courageous enough to share the truth. When my heart is engaged, I am inspired. Cynthia: If you could inspire one change in yourself, what would it be? Kristin: To trust my intuition, my heart, completely. Cynthia: If you could inspire one change in the world, what would it be? Kristin: That we revere nature as Chief Seattle asked us to. That we wake up to the truth that their is no one to fight, no one to out-do, nothing to prove – and thus enjoy, feed, care for each other and devote ourselves to praising the mystery that life is through heart-centered creativity. Will-driven, ego-driven creativity looks like destruction to me. I speak to myself. Cynthia: Where do you look for inspiration in your daily life? Kristin: Outside among the trees, in the mountains and the river. I find it through prayer and often it comes through my hands as I write. People and books. I try to stay awake enough, out of my head enough, to notice when something engages my heart. Kristin: People who follow their heart regardless of the world’s response. People who allow themselves to be completely vulnerable. Jesus inspires me. Buddha inspires me. Mother Teresa inspires me. My neighbor whose young son has had three open heart surgeries inspires me. The man who parks cars five stories underground at the Los Angeles airport and greets people with a genuine smile inspires me. Courage and vulnerability inspire me. Cynthia: Want to share a quote or a poem or a song lyric that inspires you? May we all support each other in this. Cynthia: What job | project | goal are you working on now? Kristin: I teach yoga and I write. Collaboration has been instrumental in my stretching beyond my ego/long-held identity. I am currently collaborating on two projects. One, Step Into Stillness Retreats and Workshops, which aim to teach yoga and meditation as a means of healing and uncovering personal freedom. I work with Cynthia LaRoche (you) on this project. We are currently designing a curriculum (with space for inspiration, of course) and a collection of daily inspirational readings we hope to publish for our students. The second project is the sequel to a book I wrote with two other women, Breathe, under the pen name Kate Bishop. It has been described as transformational fiction. It tells the story of a woman who finds herself stripped of all she thought she wanted and all she thought she was, and what happens when this happens. Breathe, published by Diversion Books, was well-received and so we embark on the second. My co-authors are Bridget Evans and Talie Katwinkel. Cynthia: Women creating together is a powerful thing. Cynthia: What is your “why” behind it? Cynthia: What should people know about your work? Kristin: I am deeply grateful for anyone who attends my classes/workshops and reads my writing. I grow and learn through the process of teaching and writing. Without each other, what would we have? Cynthia: How can we support you and your work? Kristin: Muse is a platform of sharing and support. Simply sharing the work we are all doing is a gift. Inspiration and healing is born through connection. Cynthia: How do you balance work and play? Kristin: For a very long time, everything was work. Learning to trust and let go has helped me to remember play. I am very lucky though to have the space and resources to pursue what I love. Tell us about your mindfulness practice. Cynthia: Who are your teachers? Kristin: Everyone and everything, really. Every interaction and experience is an opportunity to learn presence and compassion, for myself and the world. But formally, my mindfulness practice began with yoga. My early teachers were Baron Baptiste, Rolf Gates, Seane Corn, and Shiva Rae. They were all beginning their teaching careers as I began my practice. It was very exciting time for me. I was broken athlete with a very raw nervous system. Valeta Bruce, a Bend meditation and mindfulness teacher introduced me to vipassana and the teachings of Jack Kornfield. I currently study with Jonathan Goldman and Shannon Ransom, and although they are not teaching “mindfulness” specifically, they are- if that makes sense. Living through the energetic space of the heart, what Martin Lowenthal and Lar Short call, “the heart of compassion” is their teaching and practice. My work with them has been life changing, not easy, but transformative. A space of compassion is held to witness and explore all aspects of our humanity and divinity. The more I practice and learn about spiritual paths, religions, the exploration of our true nature, the more I realize that everyone is saying the same thing, ushering us inward to the same awakening. Sidi, the Head of the Higher Sifi Council of Jerusalem, teaches that all paths lead to God. Just pick a path. (Translated teaching courtesy of my dear friend Tory Junkin.) When something resonates with your heart, follow it. I love this. I digress. I also love the teachings of Pema Chodron, Ram Dass, Martin Lowenthal and Lar Short – oh, really, whatever and whoever I can get my hands on. I’m a bit of a spiritual book junkie. My sister is a devoted and wise teacher and practitioner of ashtanga yoga. I learn so much from her as well. Oh, there are so many more. And…one my biggest teachers at the moment has been the icy, cold Deschutes River. Submerging, staying, relaxing and breathing while everything in you screams, “get out!” really gives you a sense of what mindfulness is all about. My husband and I are about to begin a course with Wim Hof, the man who inspired our daily meditations in the Deschutes. Cynthia: Why is mindfulness important to you? Kristin: Mindfulness cultivates loving kindness towards myself and others. It teaches me patience and faith. I spent many years with what felt like intense anxiety, and I have come to realize that it’s origins are the fundamental groundlessness of life. Everything changes and life is a mystery. For a long time, this terrified me, so I fought it with worry and control. Mindfulness brings me peace. Cynthia: How does being mindful affect your daily living? Kristin: I am much less reactive than I used to be. I am connected to my body and my world, where as before I did everything I could to avoid feeling vulnerable, which wreaks havoc – and I was completely unaware of this. I am now able to be more present and curious when intense feeling arise. I am learning to watch my thoughts and reactions rather than act them out. Compassion lives in the heart. The heart is calm. Mindfulness teaches me to wait for the calm before speaking or acting. Now, this is certainly a work in progress, but my loved ones will attest, I am much easier to live with. Cynthia: What are the biggest challenges to mindful living? Kristin: Once you begin to become aware of your habits and defenses, you see them everywhere. Having compassion for ourselves can be terribly difficult when we have a set of rules in place that dictate “right and wrong”/”good and bad.” As Maya Angelou said, “I am human being, nothing human can be alien to me.” There is nothing in you that is not in me, and therefore as we become mindful, we see the full range of human possibility- within us- this can be scary initially. It is difficult not to default to old habits of denial, numbing and blaming and then even more difficult to forgive ourselves when we do, and begin again. Cynthia: Can you share some of your mindfulness tips with us? 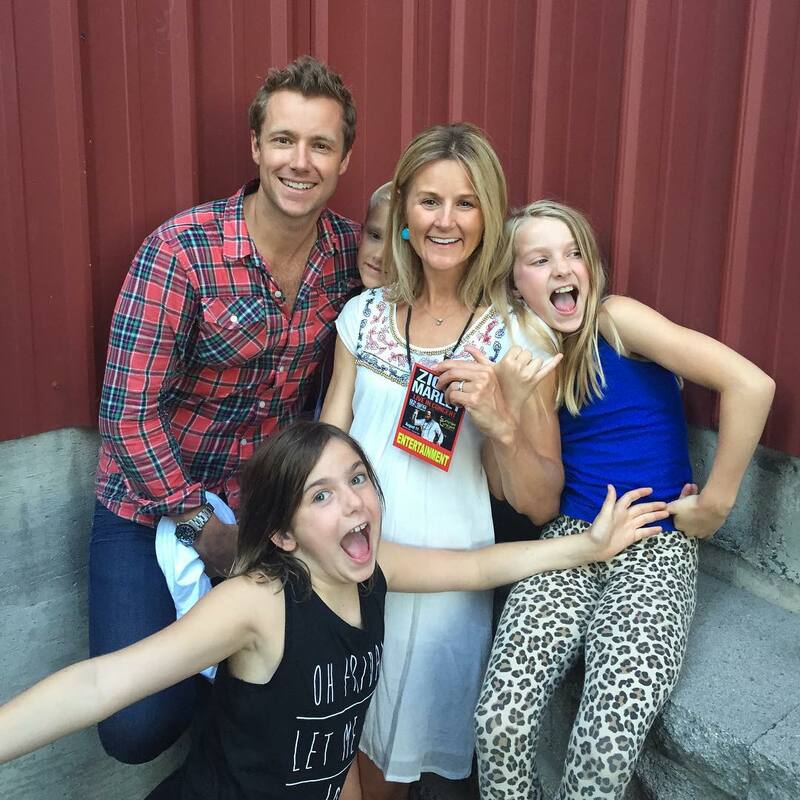 Kristin: As I am taught by my teachers, “Stay. Relax. Breathe. Watch.” Stay is one of the most fundamental for me. I like to run when I’m uncomfortable. Change everything. Move. The other thing that has helped me tremendously is breathing into my legs, the part of me that is most immediately connected to the earth. This grounding helps slow down the thoughts and feelings.And the last, beware of comfort. Comfort does not equate to happiness. Relax past the boundaries of your belief and you fears. Challenge yourself to stay open to the ideas, people, and situations that urge you to close and turn away. May I remember all I have written here.